The first thing you should know is that their long hair can, and will, get matted in their cages. Our cages need to be completely emptied and cleaned at least weekly, especially during the winter. The rabbits will pull their hair out or it will shed, and then they will poop or pee on it, creating a huge matted, smelly mess. One way to avoid this is keeping their hair trimmed on a regular basis. We also brush their hair out each week during a spa day. We normally will “shear” or cut their hair very short each spring and in the late summer, garnering about 1⁄2 pound of wool from each adult rabbit each time. It’s cooling to them and useful for us. Win­-win. To cut their hair, we simply cut it as any human hair. Brush it out, then hold it about 1 inch from the rabbit’s body and trim carefully. We save all the wool we can in a bag to be washed and spun later, and take out the wool that is too matted to use. Next thing to know is that during a spa day, monthly, we give them a pseudo­-bath. This helps control some of the matting and shedding, keeping their wool nice and clean when we shear them. It’s a quick process, gently dry shampooing them by sprinkling with some cornstarch and brushing it out. We don’t water bathe them because they can get skittish and scared. If the weather gets chilly and they are wet, it could be disastrous for them. In the wild, a wet rabbit can get into a warm den or under leaves. In the barn, they don’t have that option. They are stuck in their cages. You should know is that their nails need to be trimmed often. 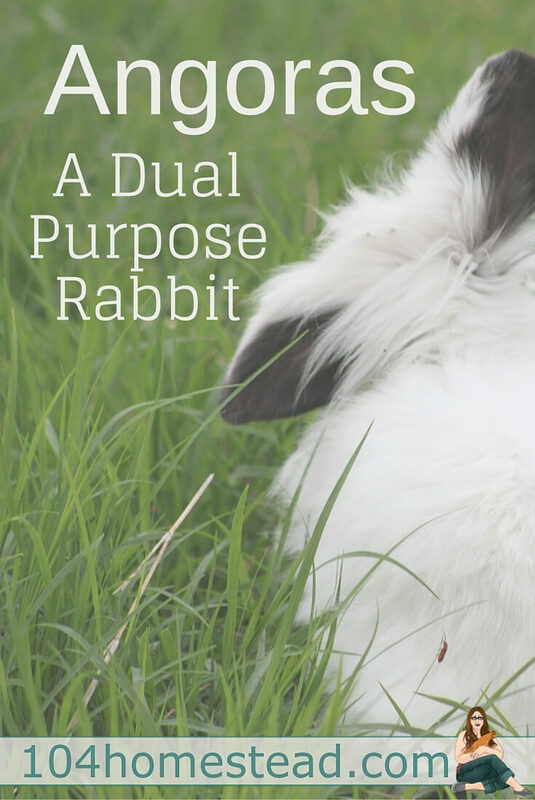 This is true for all rabbits, but our experience has led us to follow the thinking that our Angora’s nails grow faster than our Lionhead rabbits. We have experienced Angoras pulling their hair, and getting stuck in their nails. Hence, we trim them weekly on their spa day. To trim the nails, use an animal nail clipper that is set aside for them. Trim carefully just the tips, being careful not to cut past the quick and into a vein. If you let them grow too long, you will need to trim every two to three days to get them cut down gently. Since they are typically larger rabbits, sore hocks are something to be careful of. This is where they can develop sores on the bottoms of their feet and it can be very painful for them. To minimize the risk, make sure the pen is cleaned often and they have a resting board. This can be a wooden board or an old scrap of carpet that gives them a place off the wire to sit. If you find they develop sore hocks anyway, applying a smidgen of coconut oil on the sore spots 2­-3 times daily has helped us in the past with healing. Finally, since most fiber rabbits are considered meat rabbits as well, you should know that they will eat a lot. Our Angoras could eat us out of house and home, truly. They get 1⁄2 cup of food and a treat twice a day, every day. They will eat any food you set in front of them, so you need to be careful to not overfeed them. Quality hay, a handful at a time at least 3 times a week, is also essential for helping them with digestion. As you can see, raising fiber rabbits isn’t much different than raising any other rabbit, really. They are a special kind that will steal your heart and make you glad you have them. 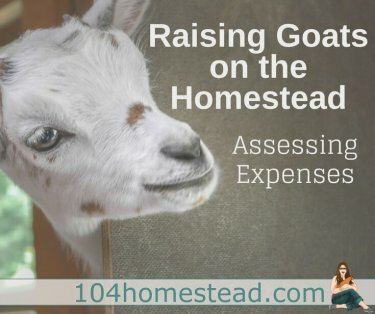 Heather and her family live in a rural town in Northern Indiana, where they work to raise nearly 75% of their own food, including chickens, turkeys, ducks and fiber rabbits. Poultry TV and pulling weeds to figure out how to use them is far more exciting than anything else to her. Join their crazy adventures at The Homesteading Hippy. Thank you for the information. 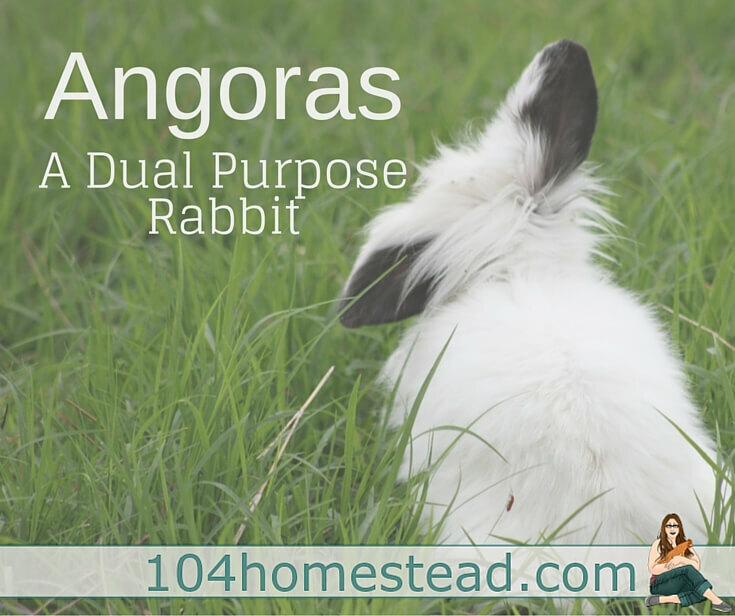 I am fairly new to homesteading and it is nice to compare what I am doing with my 6 English Angora rabbits. These rabbits are the most spoiled rabbits. Mine live in their large cages in my rabbit shed with air conditioning in the summer and heat lamps as needed in the winter. With all of the attention that they get with grooming, they are really considered to be pets, not farm animals. The lovely wool they produce is such a plus with them. I am sorry you feel that way. Our rabbits are worth approximately $200 each, and to let them “wander in the grass” where they can dig their way out of any run is asking for trouble. They have escaped their pens before, and it can be a dangerous thing, because they don’t understand the confines of OUR homestead, and the neighborhood dogs can kill them. They live in a cage so they are safe. I was thinking the same thing, why do they have to be in a cage with a wire bottom? I get that you want them to be safe, but caged with only a small thing to rest on seems pretty inhumane way to live an entire life. I appreciate your article and posts, but this does bother me as well. Our rabbits all have resting boards and carpets to get off the cages from. Risking them running off and getting killed is far more inhumane to me than keeping them safe. What you may not realize is that Angora’s are not “natural” we breed them to be this way and they can not safely exist in the “real world”. While I let my angora’s out to roam in nature on a nice day under my watchful eye, to allow them to be free and to burrow would be neglectful. The dirt and moisture absorbed by the fur would irritate the skin and sticks and even stiff pieces of grass get caught in the fur and puncture the skin. All this causes open sores that attract flies and ultimately leads to death. By tampering with nature to produce an animal more valuable for our own gain, we have signed a social contract to provide the necessities of life as Jessica has done. Good job Jessica for sharing responsible Angora rabbit procedures, so that the general public can learn more about them. Since Angora are not “natural” and they are breeded and grown just for monetary gain they deserve just what it’s needed for their purpose; maximize their value, not their happiness. If their happiness would some how increase their value that would be surely considered, but most of the breeders don’t really care if they smile or cry, if they born, live and die inside a cage. The only regard is how much they can make out of it. It’s really not a matter of ethic or being inhumane, it’s a fact of saving an investment, it could be a brick or a breeded baby. When it’s made and taken care for the only purpose of income, ethic is how much tax had to be paid on the sale. In Our farm/factory site we do not have such fancy images, we show what it really is, a place where animal are bred for the maximum gain and the lowest possible expense, we show their cages, the slaughterhouse, how we recycle any kind of sub product, So come and invest in our business.